In a critical do or die summit in Brussels, European leaders only came up with a partial solution to their debt crisis. 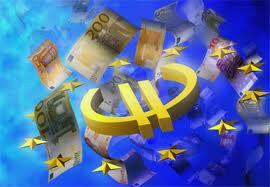 The leaders agreed to the broad outline of a trillion euro plan to end the continent’s two year old financial crisis. But they remained deadlocked on how their plans will work, when they will happen and what they will truly cost. And time is running out. The plan requires existing holders of Greek bonds to take big losses on their investments – and they are balking. The plan also requires a European stablization fund but countries like Germany, Britain and France can’s agree on how much they should chip in. The plan is now expected to be nailed down by finance ministers in November. Whether the markets will put up with further delays is a question. A collapse of the euro will negatively affect Canada and the U.S.